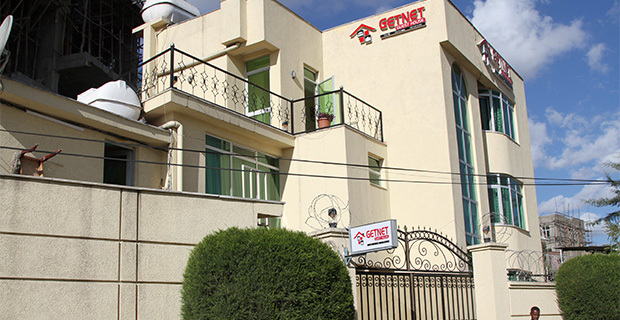 Residents in Addis Abeba are fed up with the shortage of transportation facilities every morning while commuting to work. 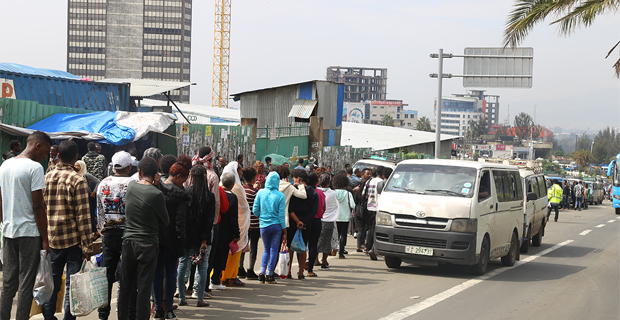 Although the city got additional Alliance buses, meter taxis and Sheger buses in the past year, the long queues for transportation in Addis Abeba showed almost no improvement. Adding to that, the City's Transport Authority has also allowed over 7,000 Code three taxis to operate in the city. 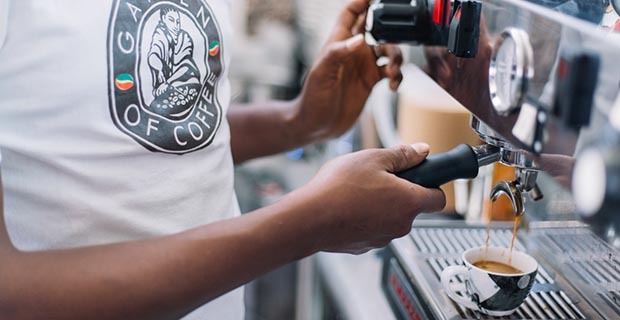 Nevertheless, despite these blossoming figures, the problem has not been solved yet as ABIY SOLOMON, FORTUNE STAFF WRITER reports. Over the past three years, the number of blue coloured taxis is declining in the country, replaced by white taxis, which largely come to the city to assist the transportation authority in shortening the queues. With the increasing levels of urban mobility in the city, transportation' access to places, activities and services is becoming increasingly difficult in terms of convenience, cost and time. At the taxi station corners of Qaliti, Gelan Condominium, Emebet Arega begs the people in the first row of a long winding queue to give her precedence to take the coming taxi, despite being the last one in the queue. Emebet, 28, works as an office manager in a local NGO around Cathedral School. She tries to invoke people’s empathy; begging them to proceed in the queue. Talking in a hurry, she turned to the people in the lineup with a sullen face, she whispers. “I gave birth to a boy recently. My maid is a new girl from the countryside whom I need to repeatedly instruct the house chores and make sure my baby has everything necessary while I’m away. 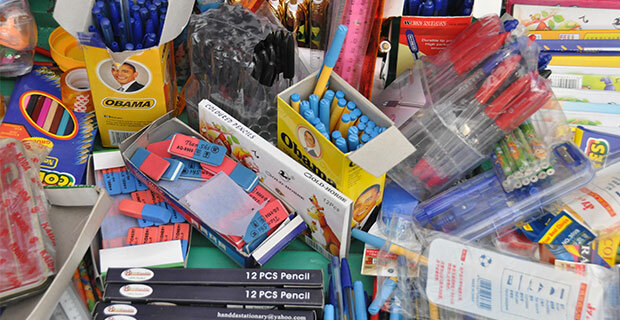 Attending to all these I often reach late to the queue,” she whispered. “Hence, I’m given two warning letters from my supervisor mentioning my lateness, a behaviour he thinks would harm my duties at the office,” she said. This scenario doesn’t belong to Emebet alone. 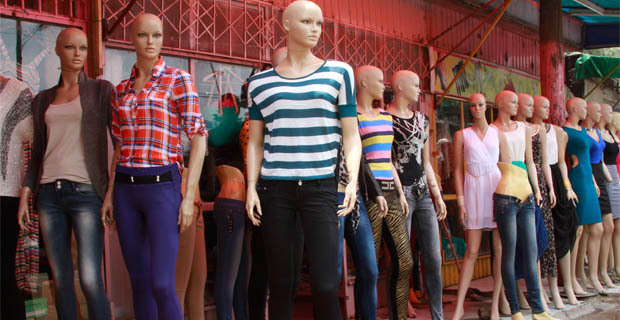 Many residents of Addis share it day in, day out in many versions. 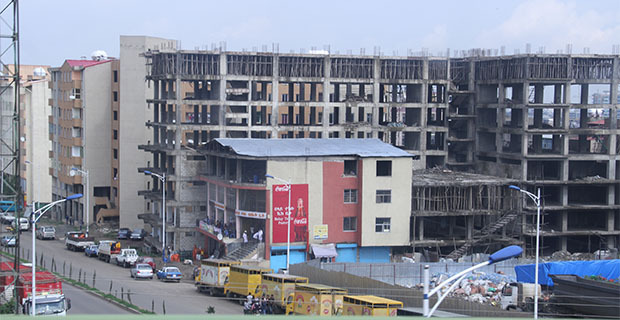 Addis Ababa’s transportation problem gets worse as days go by, more roads are built, and various taxi vehicles are put in the system paradoxically. To the city dwellers, however, the real cause, a possible solution is invisible. The situation is unprecedented too, as it gets much better some mornings and is the worst at midday. The shortage of transportation services is especially amplified since the winter ushered in and has worsened since early September. Yonathan Yitbarek has been a taxi driver for about six years. He currently drives a white minibus taxi a.k.a Tebabari (Associates). He puts the disorganisation of the transportation system and the tremendous population increment as the primary causes aggravating the problem. “There is a route allocation system through which every taxi vehicle is being administered throughout the city. But certain vehicles are observed paying bribes to avoid the route they are allocated to serve in preference of the one they think is more profitable,” he explains. 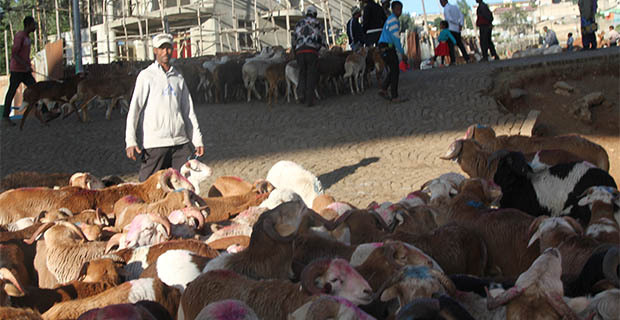 There are about 12,000-13,000 taxis in the city where the blue and white Tebabari take the lion’s share, according to Addis Ababa City Transportation Authority. In realisation of the role the white and other coloured Tebabari (Associate) taxis play in sharing the city’s transportation burden, the Bureau has come up with a new licensing system that allocates a specific route to the taxis shown by a printed plate the vehicles post. The Tebabari taxis used to operate under a paper license to work as a city taxi besides giving cross-country transportation. Though this was well in getting them into the service, it couldn’t make them sustainable transportation partners, since they fly with the wind towards where there is better cash, according to Habtewold Shewangzaw, director of Transport Administration, Allocation & Payment Directorate at Addis Ababa City Transportation Authority. The problem has made the bureau devise a new plate license registration system. “We made it open for them to be enrolled voluntarily. 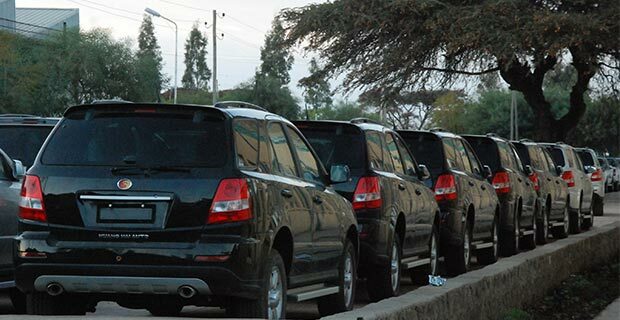 Surprisingly, we have registered 7,800 vehicles since we started the registration on Aug 29,” says Habtewold. “They have flown in numbers. It’s because they want to work in city’s safer environment concerning keeping their vehicle safe from damage caused by cross-city journeys,” he said. Nevertheless, they are bound by the system to stick to the route they are allocated to and never work elsewhere, which they consider a severe disadvantage to them. Hence, while getting the plated license to work in towns, the Tebabari taxi drivers like Yonathan want to flee from the rule that binds them to stick to a particular route, whose profitability is not always guaranteed. “We also hear rumours that the route controlling officers are bribed by certain unsatisfied voracious drivers who want to change routes,” says Habtewold. The commuters including Mesay, whose last name is withheld upon request, are uncertain whether the Tebabari taxis would arrive as they are not willing to be bound into a route and destination. “We lined up believing a certain taxi will come and take us. But we are not sure how many of them will come. This makes the transportation service uncertain,” says Mesay, a mobile maintenance professional who was waiting for a taxi to Qalliti along with Emebet. Despite the authority’s effort to manage the route allocation and management at its best, other factors are fueling the transportation problem, according to Habtewold. “Shattered roads, irrelevant roundabouts, the continuous in-flow of the population with its ever-moving dynamics are the major factors contributing to the transportation problem, among others,” explains Joni Terefe, a director of transport operation & environmental affairs directorate at Addis Ababa City Transport Authority. Though vehicles to be used for taxi services such as Anbessa, Sheger, Higer, Alliance, Public Service has been added more; the road infrastructure hasn’t gone parallel with the increase in vehicles, which requires further action to address the issue. 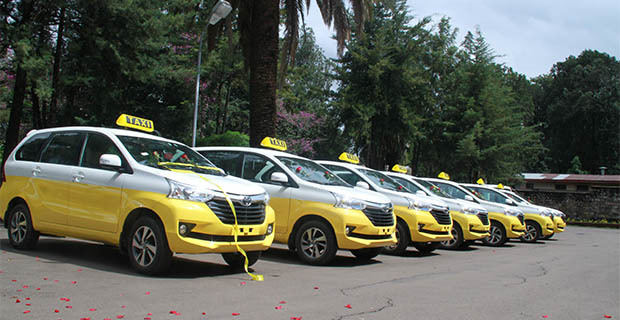 During the past fiscal year, about 3,159 Code 01, 5,276 Code 03 taxis, 230 Higer buses, 222 Qitqit, 230 public buses, 459 Anbessa buses, 118 Sheger buses, 53 Alliance buses, 118 Sheger buses and 22 trains have served the population of Addis Abeba on a daily basis. Looking at the trend, the number of Code one taxis has decreased by 22pc while Code three taxis and alliance buses have increased by 17.5 pc and 96.2pc respectively compared to the previous fiscal year. During the current fiscal year, the number of Anbessa buses decreased by 24pc from the preceding fiscal year. Even though the trend of public transport facilities has increased, there is still a huge gap in fulfilling the travel demand of the people, expected to double in the next four years. Travel demand is increasing at a higher rate than that of public transport services. “We have learnt that we need to restructure the road management system,” Joni adds. As a part of the restructuring, the Authority has already planned to create a particular road called “Bus Rapid Transit Lane” to be used only by buses, scheduled to begin in November 2018. 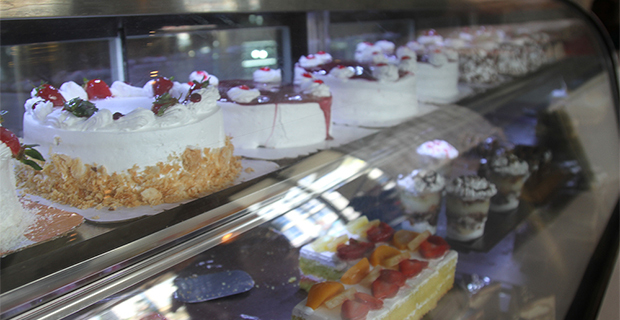 It is financed by a 95 million Br loan from the French Development Agency (AFD). It will be built along three corridors, having a total length 93Km. It will connect busy junctions including Wingate and Jemmo to the west, and from Merkato to Qera, covering five districts – Addis Ketema, Nifas Silk, Kirkos, Gullele and Lideta. The existing number of vehicles in the city need to be eight folded to satisfy the transportation demand, according to the Authority’s analysis. Over the past five years, the number of vehicles in the city has increased by more than eight percent annually whereas, road networks have also grown by 11pc a year. “In addition to the road maintenance measures taken to alleviate the roads problems, demolishing unnecessary roundabouts is yielding positive results. There are about six roundabouts which have already been demolished that have brought up positive results,” said Joni. For Esayas Deribe, an architect, urban planner and lecturer with decades of experience, the major problem attributed to the City’s traffic congestion happens to be the roads. 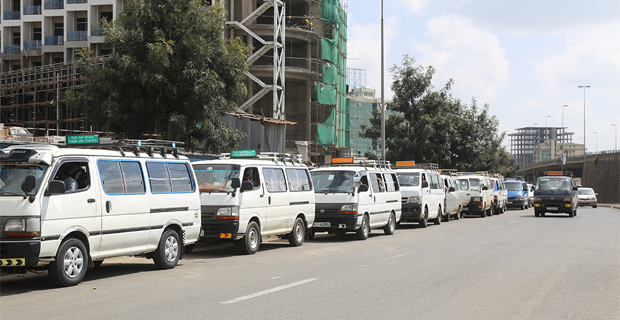 The recurring transportation problem is planned to have a thorough and lasting solution by implementing a researched system and modern fleet allocation, which is said to be underway by the newly restructured Addis Ababa City Transport Authority. Emebet’s tears were not in vain finally, after many crowd arguments and mumblings she was let into the coming taxi before her turn. What she is not sure though is whether she will get to the taxi early tomorrow.